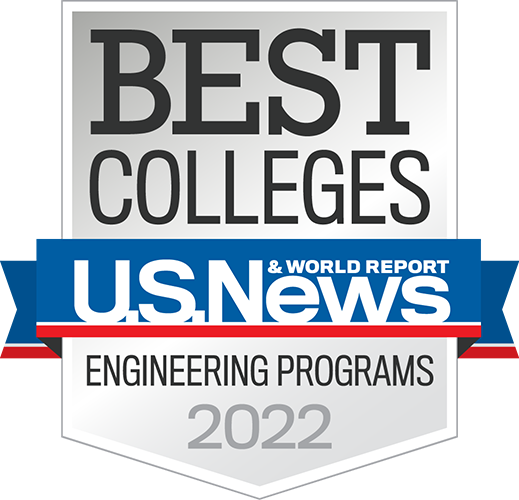 Let’s be honest--STEM majors are a pretty hot commodity right now, and all of a sudden it seems like every college on the planet is deciding to offer engineering degree programs. Not to sound like hipsters, but we’ve been doing STEM since before STEM was cool. WAY before. We were founded in 1874 and we’ve been cranking out engineering, math and science rock stars ever since. Imagine a place where all of your classes are taught by professors who know you by name, and who also happen to be among the best in the world. You’ve got access to labs, equipment, facilities and research opportunities that are off-limits to undergrads at most schools. It’s a friendly, collaborative place where you’re also surrounded by people who love science, engineering and math as much as you do. And everyone on campus, from your residence hall housekeeper to your academic advisor, will take the time to help you when needed. That place is Rose-Hulman, and our culture is the secret to our success. But you don't have to take our word for it. Watch the video and hear about the Rose-Hulman experience first hand. Here, your STEM education isn’t just about getting a degree, or even about getting a job. It’s about taking what you learn and applying it to what you’re passionate about. You’ll do that with professors who love to teach and are dedicated to helping you tie what you know to what you love. That means you’ll be the center of your experience here--not stuck with some one-size-fits-all college career. So whether you want to match your mathematics major with your love of theater, or use a 3D printer to tinker with a project in our MakerLab--just for the fun of it--you can choose the best fit for you. You may have heard that we have a great career placement rate for our graduates. That’s true—it’s more than 98 percent, in fact. Every. Single. Year. That’s because employers know our graduates are solid, but also because our Office of Career Services goes above and beyond to help prepare our students to knock interviews out of the park. And, they host three massive career fairs every year where hundreds of recruiters from some of the best-known companies in the world seek out our students for internships and full-time employment. So here at Rose-Hulman, employers literally come to you. That’s one reason why our Career Services office has been ranked No. 5 in the nation by BestColleges.com. We’ve got a few. Have you ever heard of U.S. News & World Report’s Best Colleges? We’re one of those. In fact, we’ve been at the top of our class (that means No.1) for 20 years in a row—that’s probably longer than you’ve been alive. We’ve also been recognized as being in the top 1 percent of colleges for value and state-of-the-art technology, and No. 4 of 7,400 of U.S. Colleges for value added by the Brookings Institution. More than a number—even if it is number one. We’re proud of our rankings and recognition, but we’re more proud of WHY we’re so highly regarded. To fully appreciate that, you need more than a virtual experience. Schedule a visit and come see for yourself.